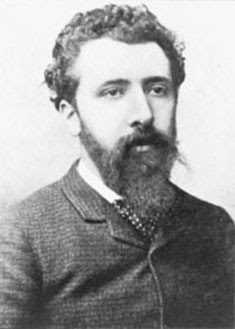 Today is the birthdate of Georges Seurat, the French neo-impressionist painter who developed Pointillism. Pointillism was his method of using dots in primary colors to form images in his paintings. This early pointillism is of some artistic interest; however, the real interest lies in its eventual technical application and the neurology of human perception. To represent images, some color printers and large presses use a pointillist process referred to as CMYK: Cyan (blue), Magenta (red), Yellow and Black. Computer monitors use a pointillist process to represent images but with RGB (Red, Green, Blue.) These techniques depend upon the observer's ability to neurologically interpret these images, i.e., blend parts or pixels into a whole. And not all of our neurological systems perceive the same things. When I view Seurat's paintings, I cannot take my eyes from the individual dots; however, when I see artist Chuck Close's later portraits, I can see the image and not each individual pixel. Another person may perceive these works quite differently. So perhaps we should think of Seurat as the father of Neuro-impressionism.